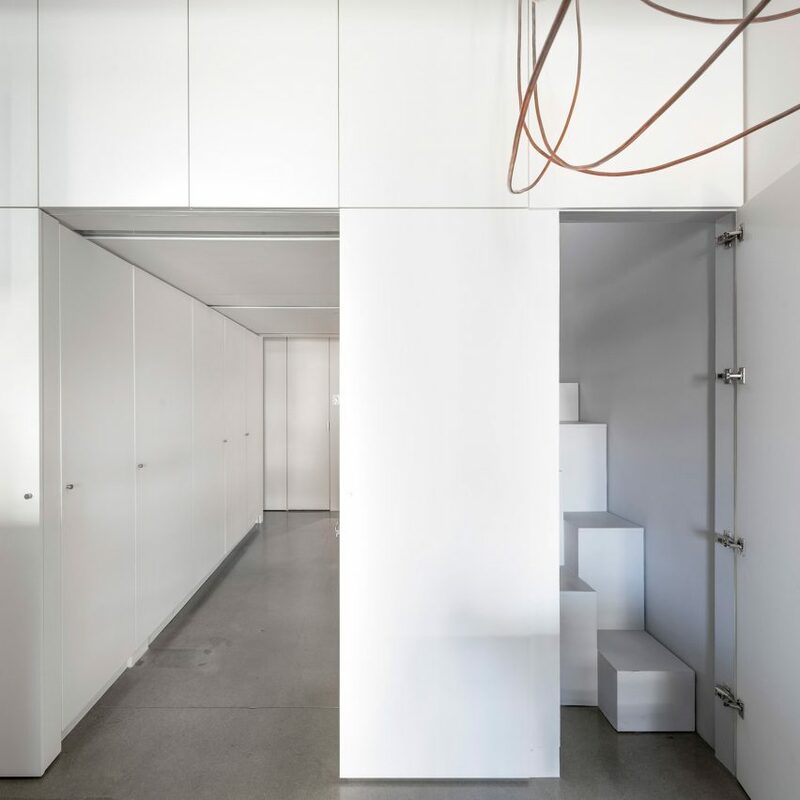 The post Falken Reynolds takes cues from an igloo for Vancouver loft renovation appeared first on Dezeen. 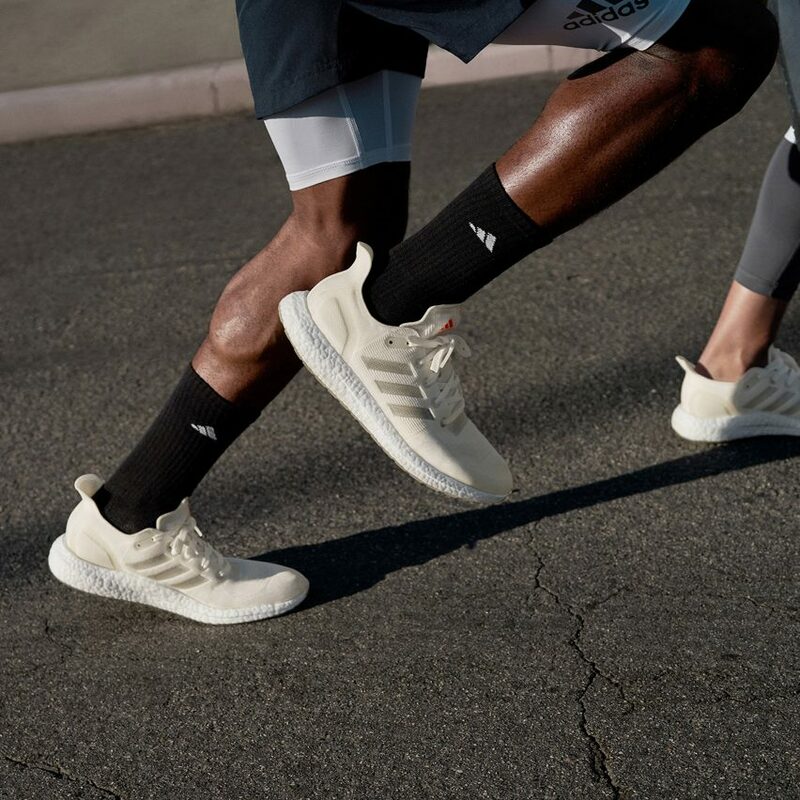 The post Adidas unveils fully recyclable Futurecraft Loop sneaker appeared first on Dezeen. 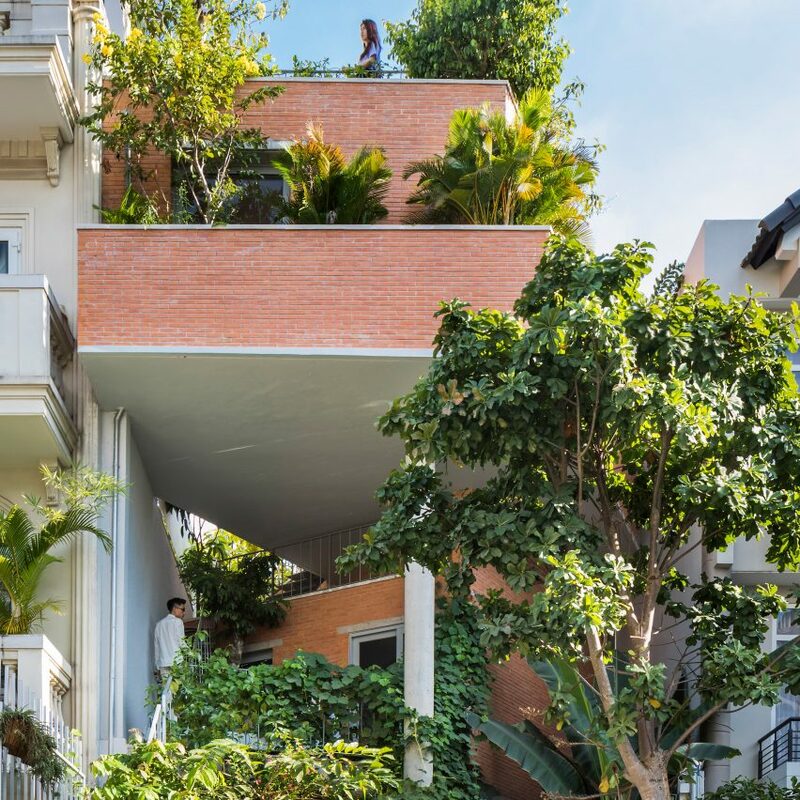 The post Garden terraces link living spaces in Ha House by Vo Trong Nghia Architects appeared first on Dezeen. 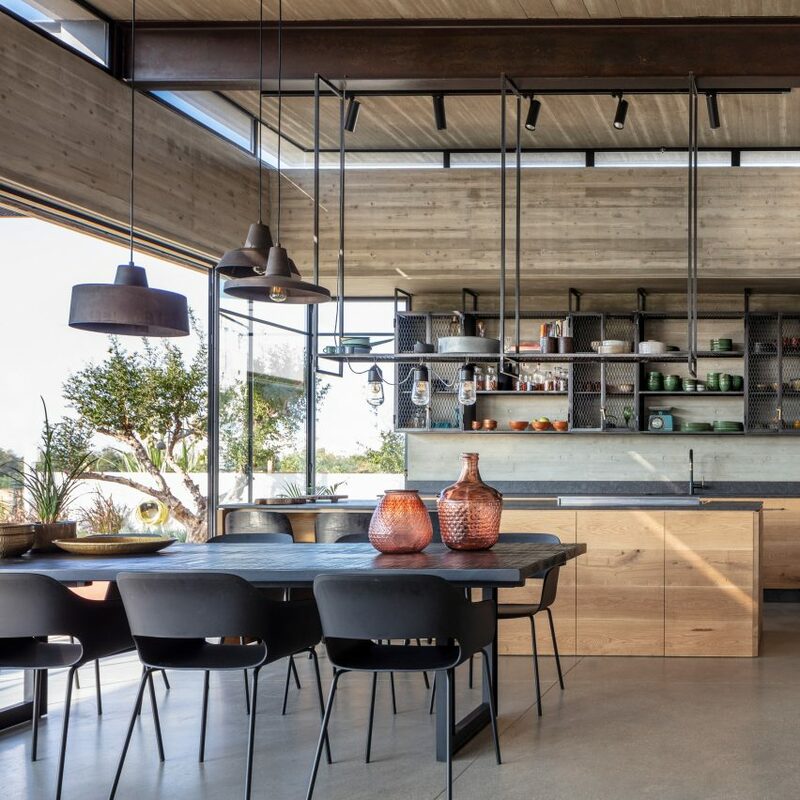 The post Jacobs Yaniv Architects' concrete Bare House opens out to a neighbouring field appeared first on Dezeen. 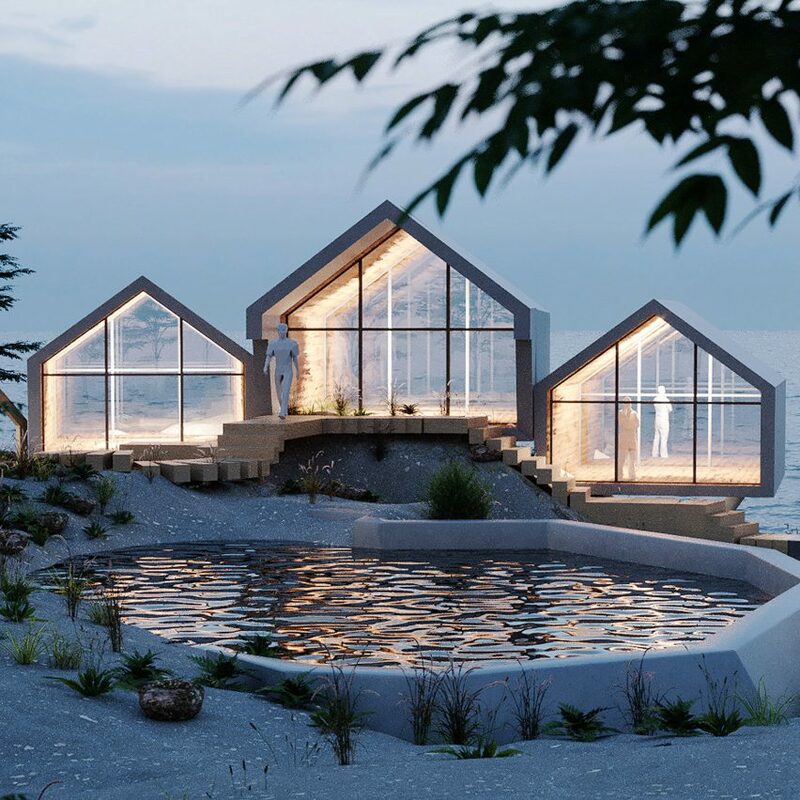 US studio Jendretzki Design has revealed designs for a boutique eco-resort on a tiny island within greater New York City. The local studio has envisioned Rat Island for an isle off the city's Bronx borough. It is one of the 44 isles that make up the New York archipelago, but the only one that is privately owned. The post Dezeen Weekly features a plywood-lined apartment and MAD's New York skyscraper appeared first on Dezeen. 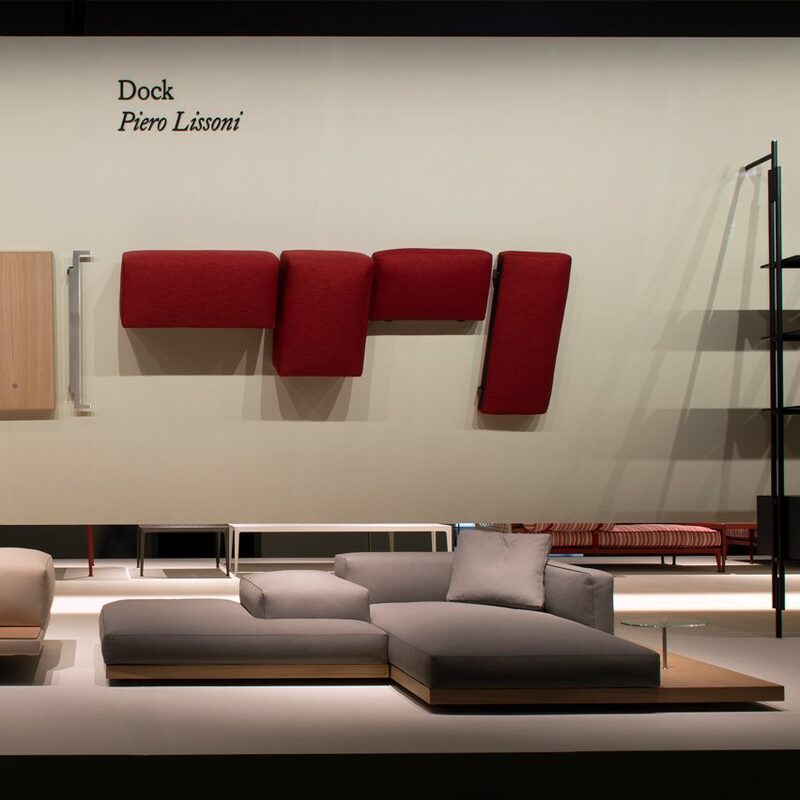 The post B&B Italia's Dock modular sofa system is "a platform for life" says Piero Lissoni appeared first on Dezeen. 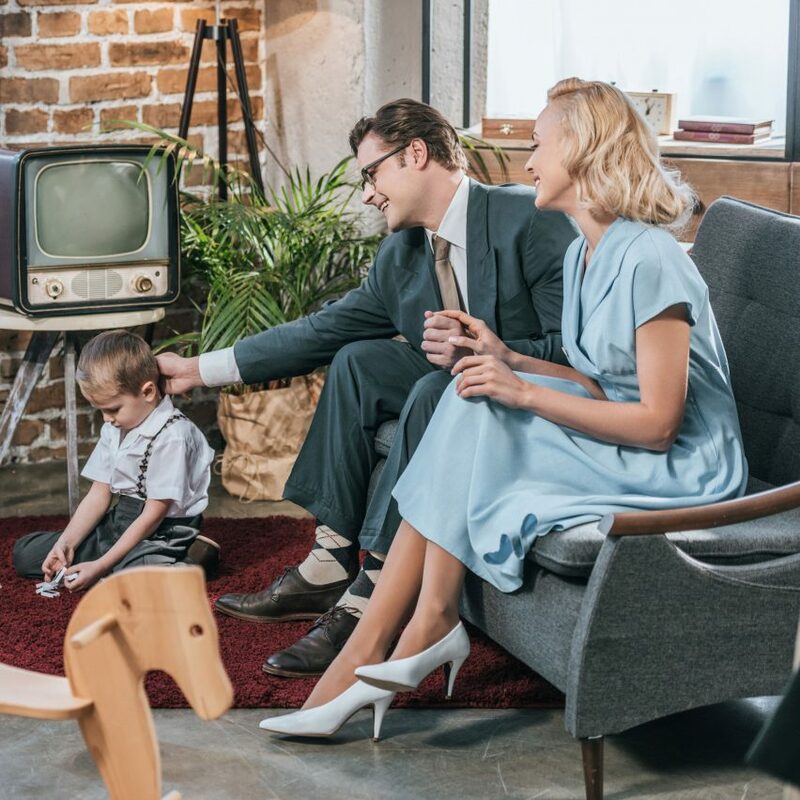 Is the nuclear family home an architectural tool of repression and social control? asks Phineas Harper. The nuclear family house is one of the most successful architectural inventions ever. 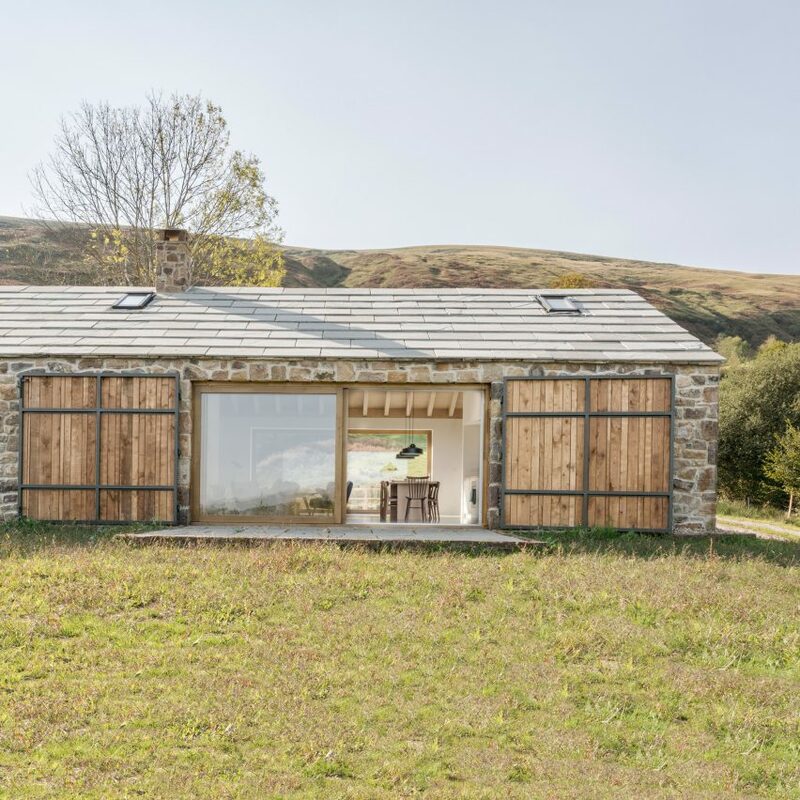 It has, spread across the world and is now the default template around which the vast majority of domestic architecture is designed and planning policies written. 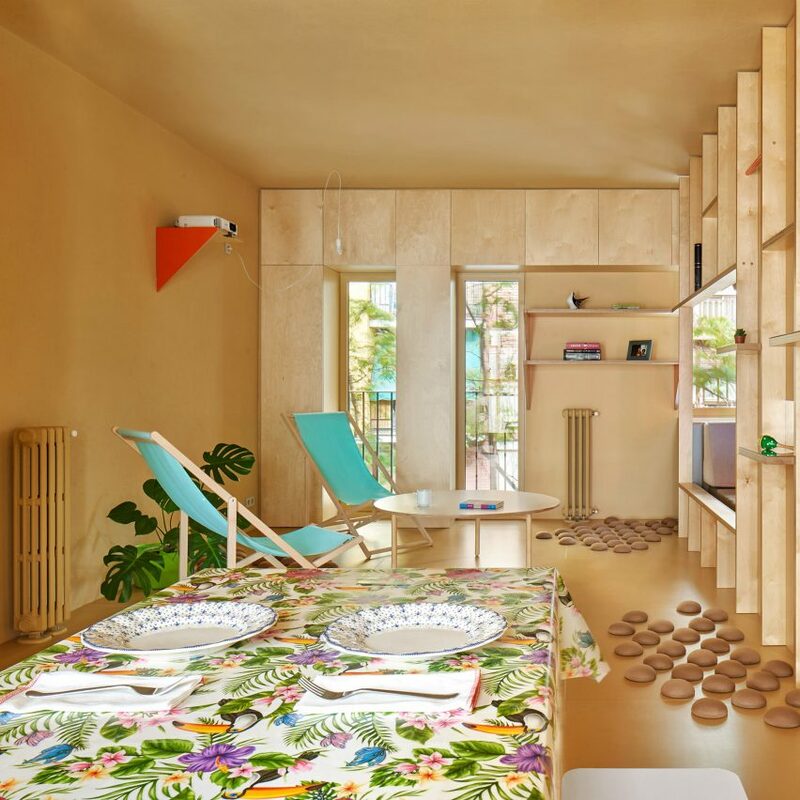 The post "The vision of the home as a tranquil respite from labour is a patriarchal fantasy" appeared first on Dezeen. 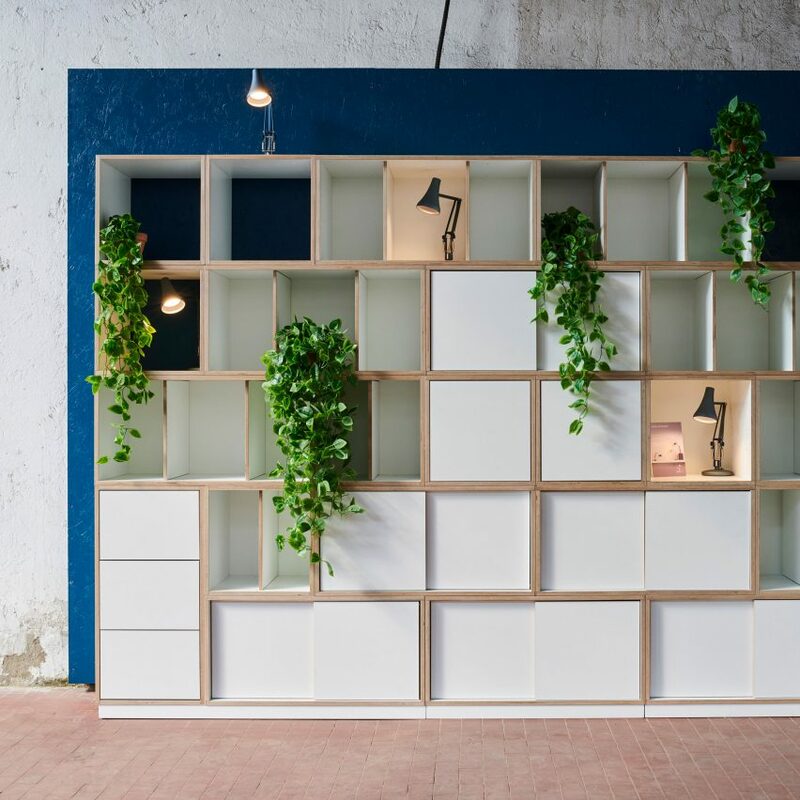 The post BOB is a modular storage system by Paul Kelley and Bisley that offers "infinite configurations" appeared first on Dezeen. 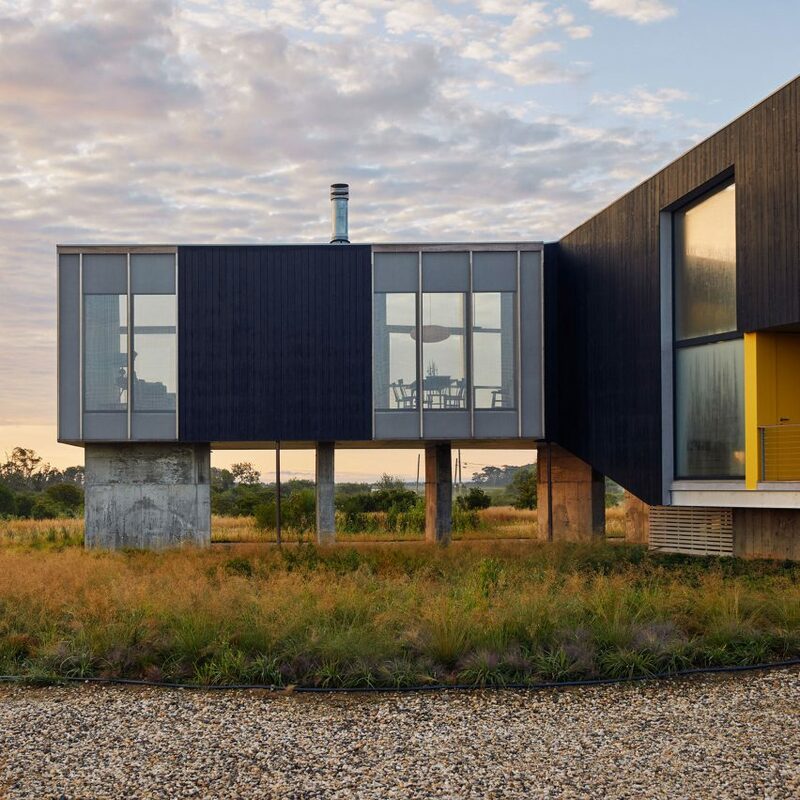 The post Ryall Sheridan raises Wetlands House above coastal site on New York's Long Island appeared first on Dezeen. 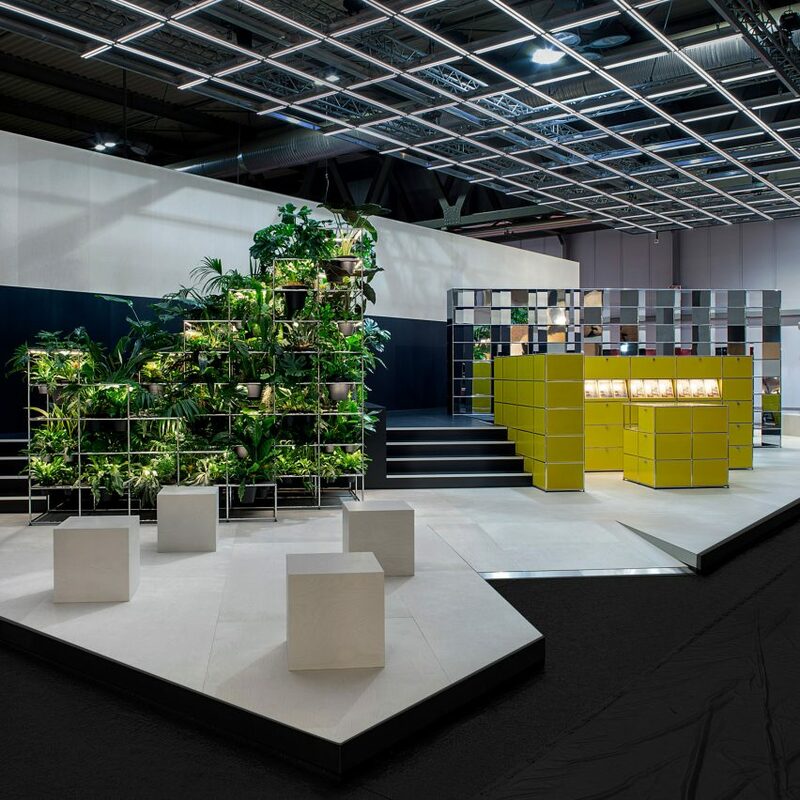 The post USM and UNStudio explore "third space" between home and office with Haller modular furniture appeared first on Dezeen. 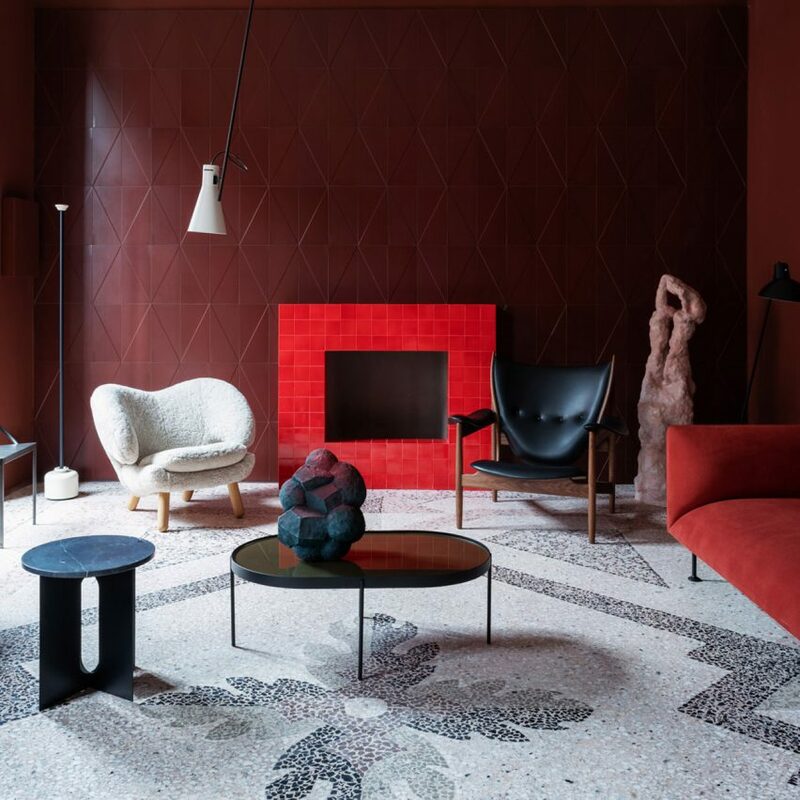 The post Perfect Darkness is an apartment installation that shows how to make the most of tiles appeared first on Dezeen. 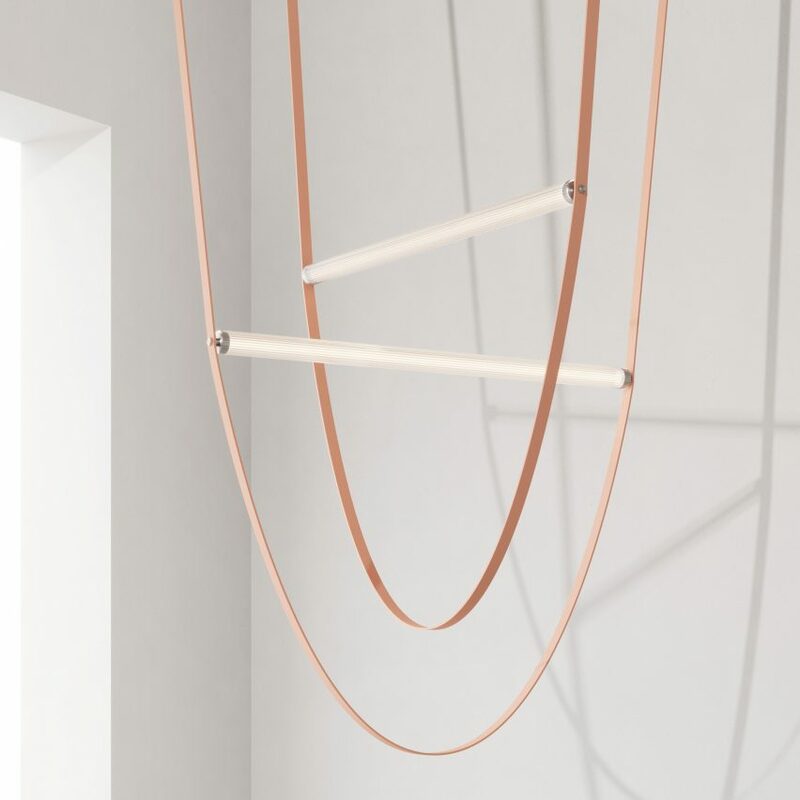 The post 10 eye-catching lights launched at Milan design week appeared first on Dezeen. 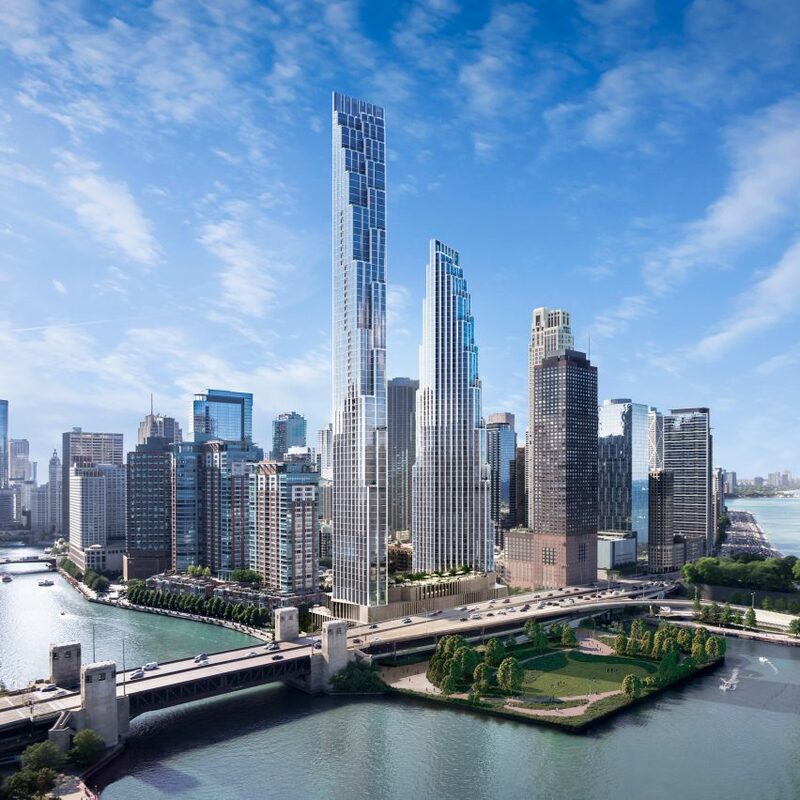 American architect Jeanne Gang has been listed on Time magazine's list of 100 most influential people for 2019. 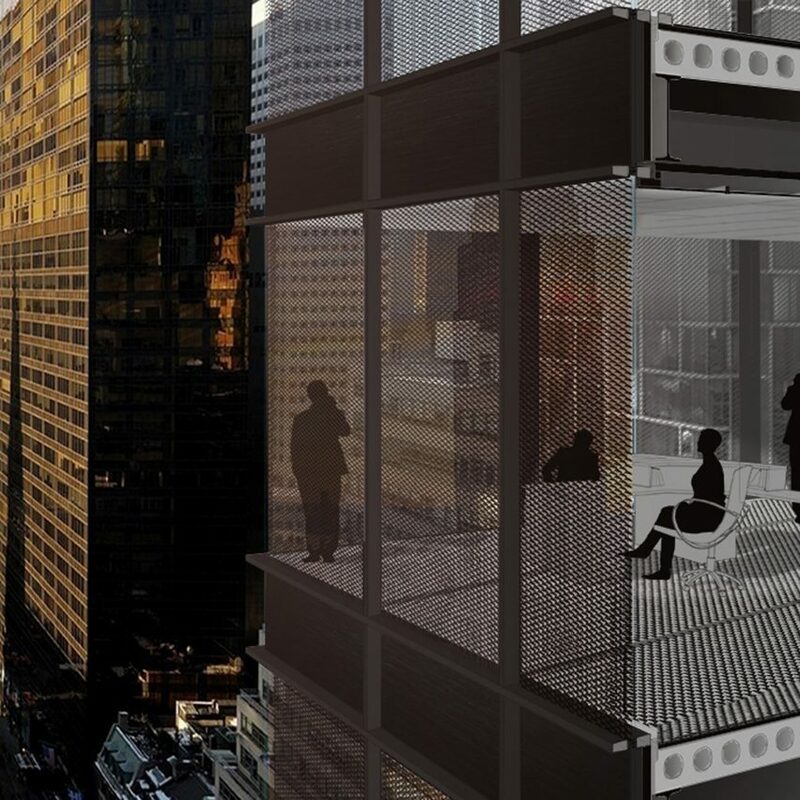 The Studio Gang founder is the only architect to make the Time 100 list this year. The recognition comes just a few weeks after a team she is leading won a competition to extend Chicago O'Hare international airport. 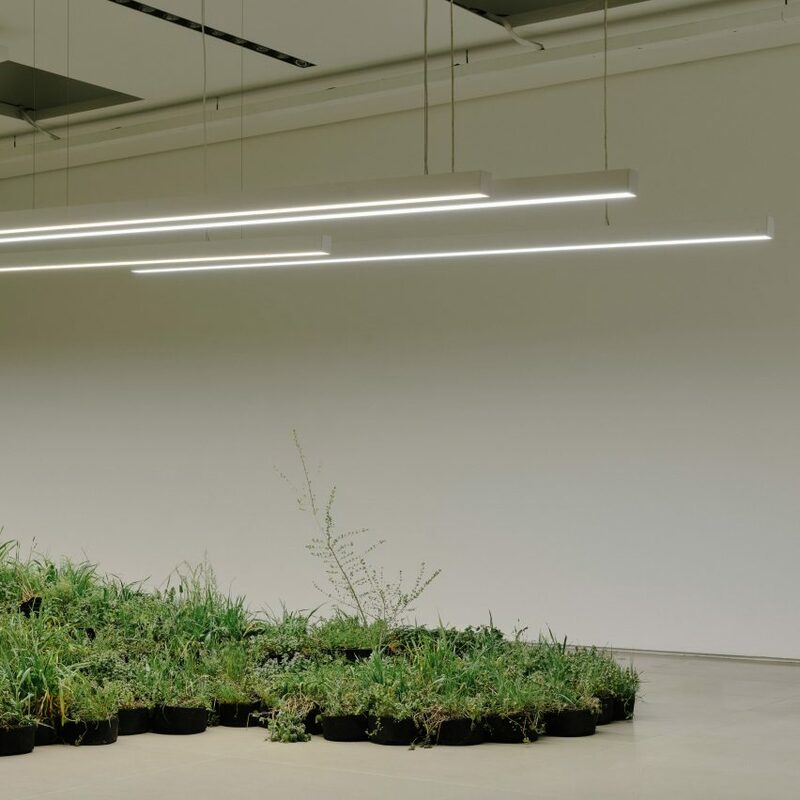 The post Jeanne Gang named world's most influential architect of 2019 by Time magazine appeared first on Dezeen. 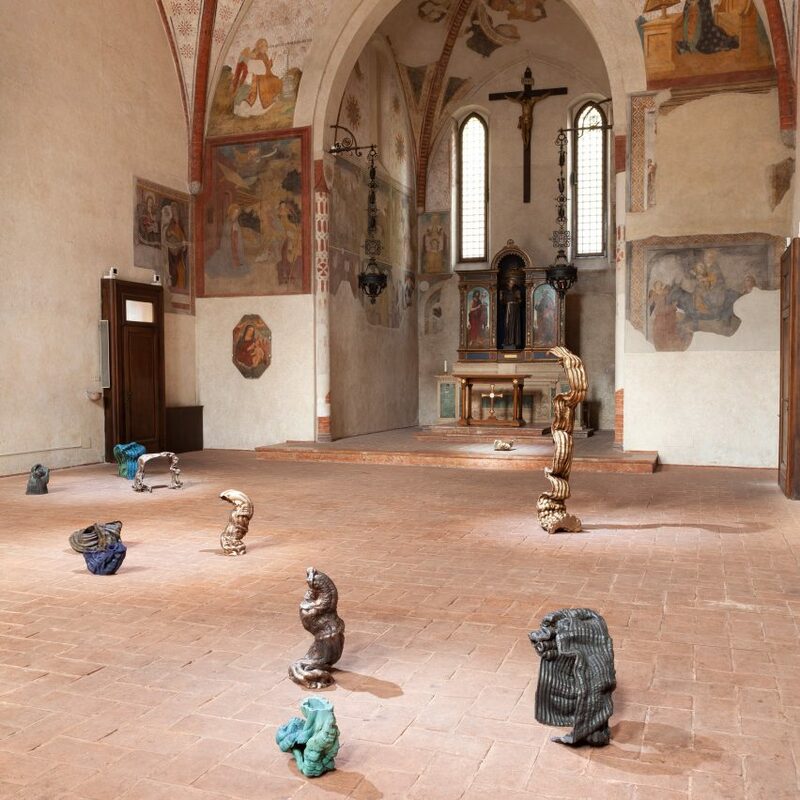 The post 10 Instagram highlights from Milan design week 2019 appeared first on Dezeen. 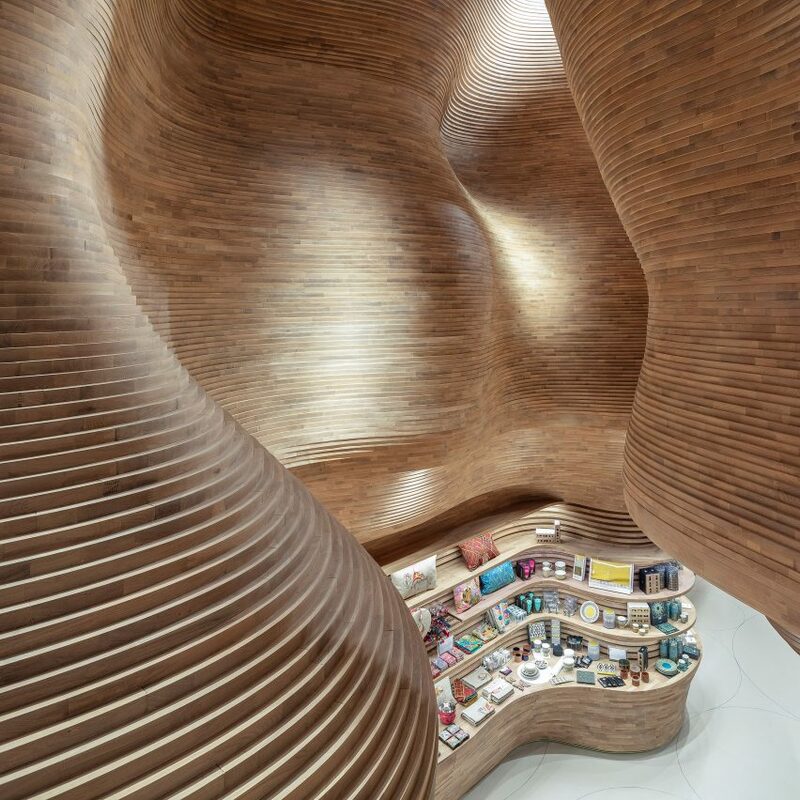 The post Cave-like gift shops created by Koichi Takada Architects inside National Museum of Qatar appeared first on Dezeen. The post Top five US roles on Dezeen Jobs including opportunities with SOM and Aesop appeared first on Dezeen. The post Anton Alvarez creates 12 "creature-like" objects from extruded bronze appeared first on Dezeen.